Animal Defense League of Arizona has a long history of participation in coalitions, which are able to unify organizations to advocate for a common goal. This strategy is often more effective than single groups working alone. ADLA has successfully worked in diverse coalitions with member groups that have different perspectives than ADLA but are willing to collaborate on achieving a common goal. This is especially important in the legislative arena, where helping animals frequently requires compromise to obtain the best possible results. ADLA was a member group of several citizens’ ballot measure coalitions that banned cockfighting in 1998 and prohibited the inhumane confinement of farm animals in industrial agriculture operations in 2006. ADLA was also part of coalitions that defeated damaging ballot referendums including a constitutional ‘right to hunt’ measure in 2009 that could have overturned the law that banned traps and poisons on public lands. Animal Defense League of Arizona is grateful to all of its supporters and volunteers. We take this special opportunity to thank the foundations that support Trap Neuter Return (TNR) services provided by ADLA’s Spay Neuter Hotline. Arizona Community Foundation The Arizona Community Foundation provides funding to nonprofit organizations across the state to promote and advance animal welfare. The Foundation helps fund the Fix.Adopt.Save Program. Arizona Companion Animal Spay Neuter Committee A portion of every Pet Friendly license plate purchased is deposited in the Spay and Neuter Fund. These monies provide funding to ADLA and other groups for no-cost or low-cost surgical sterilization of dogs and cats throughout Arizona, including supporting spay/neuter surgeries in Graham County. My Sisters’ Charities My Sisters’ Charities works to end the euthanasia of unwanted dogs and cats and to support homeless animals in need. 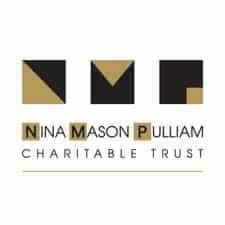 Nina Mason Pulliam Charitable Trust The Trust is a lead funder of the Fix.Adopt.Save Program in Phoenix, which is aimed at reducing the number of unwanted dogs and cats by increasing spay and neuter surgeries, adoptions and public education on responsible pet ownership. Petco Foundation ADLA has been awarded grants from the Petco Foundation to support its Trap Neuter Return Program. The funds will help extend efforts and serve the Petco Foundation’s mission to raise the quality of life for pets and people who love them. PetSmart Charities Free-roaming cat grants provide funding, strategic planning and mentoring for a comprehensive Trap-Neuter-Return (TNR) program for free-roaming cats. PetSmart Charities helps to fund the Fix.Adopt.Save Program. Below is a list of ADLA’s current supporters and coalition partners. Alliance for Companion Animals is a coalition of seven animal welfare groups in Maricopa County whose goal is to save as many homeless pets as possible. In 2013, the Alliance received a 3-year grant to support their Fix.Adopt.Save. campaign, courtesy of PetSmart Charities® and the Nina Mason Pulliam Charitab le Trust. Fix Adopt Save is a community project launched in 2013 by the Alliance for Companion Animals. It includes a comprehensive three-year plan to tackle Maricopa County’s homeless animal problem by dramatically increasing the availability of no-cost spay/neuter services to reduce shelter intake and euthanasia. Fix.Adopt.Save. is proud to announce that as of 2017, euthanasia rates have decreased by 79%, saving an additional 30,000 animals! With the community’s help, Fix.Adopt.Save. hopes to continue to save more lives until no pet is at risk. You can watch the 2017 video here. Grand Canyon Wolf Recovery Project (GCWRP) is dedicated to bringing back wolves to help restore ecological health in the Grand Canyon region, and works collaboratively with partner organizations to educate and motivate the regional public to support wolf restoration. Humane Legislative Coalition of Arizona (HLCA) is an alliance of local animal advocacy organizations that works to pass bills to protect animals and to stop damaging legislation. 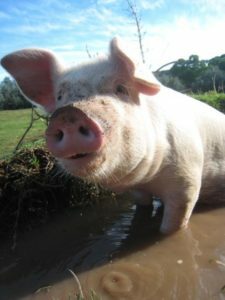 Over the past three legislative sessions HCLA and other groups were able to stop legislation that would have removed farm animals from protection under our state animal cruelty laws. The Prairie Dog Coalition is is an alliance of non-profit organizations, concerned citizens, and scientists dedicated to the protection of imperiled prairie dogs and restoration of their ecosystems. ADLA volunteers have helped Arizona Game & Fish Department biologists on the successful project to reintroduce black-tailed prairie dogs to Southern Arizona after being extirpated 50 years ago. 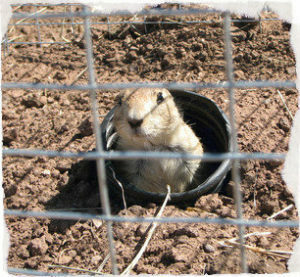 Our volunteers also worked with Habitat Harmony in Flagstaff to relocate and save a colony of 179 prairie dogs from destruction in Flagstaff, and helped relocate prairie dogs away from firing ranges on the Camp Navajo Military Base.